So many fresh, irresistible berries are in season now, don’t you just love summer! I’ve been berry picking a few times this year and am thrilled when friends have also shared some of their bumper crop. 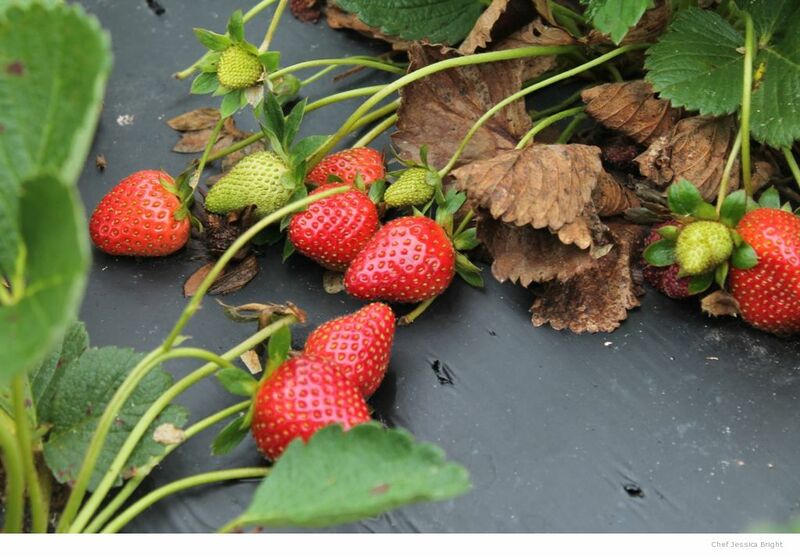 Thank goodness they shared…my little strawberry pot seems to be really struggling and has yet to blossom. 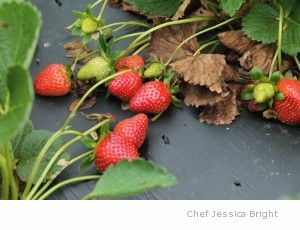 I was recently introduced to a new little gadget for coring berries — the “StemGem” by Chefn. 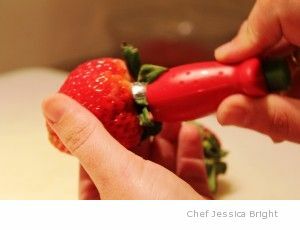 I’ll admit, I was really skeptical at first, I’m a huge fan of my old-fashioned tomato corer for stemming strawberries. This little gizmo, however, perfectly cores the berries for stuffing! 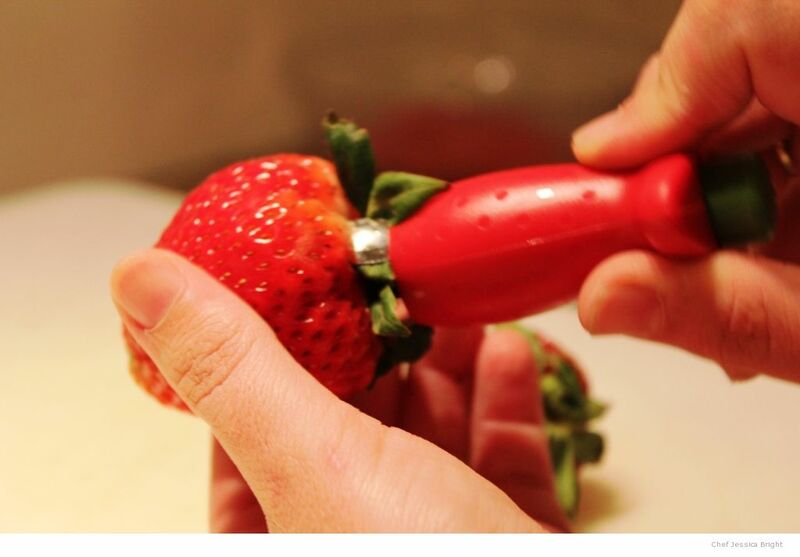 Just press the green button to open the “claw”, press it into the berry around the stem and twist, Voila! Perfectly cored berries. With that in mind, I whipped up a huge dish of these berries for a recent class and we all agreed they are patriotic perfection for dessert. Though the Fourth has already passed, I hope you’ll keep this idea in mind for the next occasion that you need a fresh, colorful, and cool dessert! In a large bowl beat cream cheese, salt, and butter with an electric mixer until fluffy. Add vanilla and orange water then mix. Gradually add the sugar, beating well after each cup is added, until you reach the desired consistency. Carefully pipe the cream cheese mixture into the prepared berries, garnish with fresh blueberry or other topping.